Discovering a country and its culture through the gastronomy is becoming more and more popular, so we’ve prepared a tour during which you’ll get familiar with local food and beverages. Since beer-making has deep roots in Lithuania, local food traditions are intimately related to it. 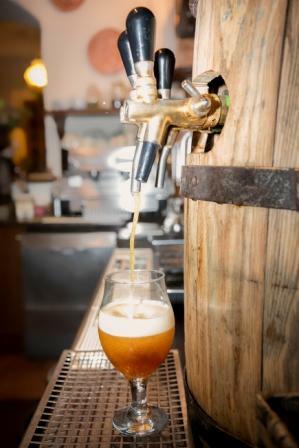 Therefore, the tour includes the visit of 3 breweries where you will taste their home-brewed beers of all sorts – light beers, dark beers, IPA’s and others, while tasting Lithuanian snacks which are traditionally made to be enjoyed with it. We’ll not describe all of them so we could leave you the pleasure of discovering the well-garnished, big plates and wondering what you have been served here. The bartenders and the tour leader will tell you more about it and the food traditions in Lithuania. 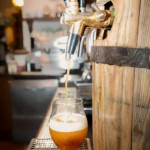 • 3-4 different snacks at each brewery with the possibility to choose non-alcoholic drinks. • Guide services and beer presentations.